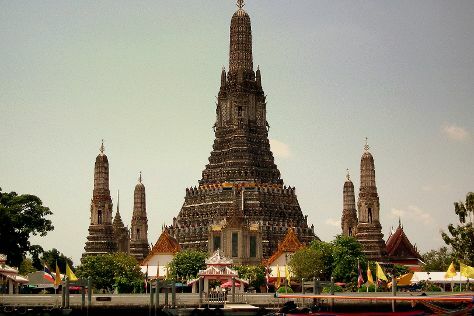 Explore the numerous day-trip ideas around Bangkok: Ancient City (in Samut Prakan), Ayutthaya (Wat Mahathat & Ayutthaya Historical Park) and Bang Saen Beach (in Chonburi). And it doesn't end there: explore the historical opulence of The Grand Palace, contemplate in the serene atmosphere at Wat Pho, identify plant and animal life at SEA LIFE Bangkok Ocean World, and shop like a local with Chatuchak Weekend Market. Find out how to plan Bangkok trip without stress by asking Inspirock to help create an itinerary. If you are flying in from Singapore, the closest major airports are Suvarnabhumi Airport, Don Mueang International Airport and U-Tapao International Airport. In October in Bangkok, expect temperatures between 38°C during the day and 29°C at night. Finish up your sightseeing early on the 27th (Sat) so you can travel back home.